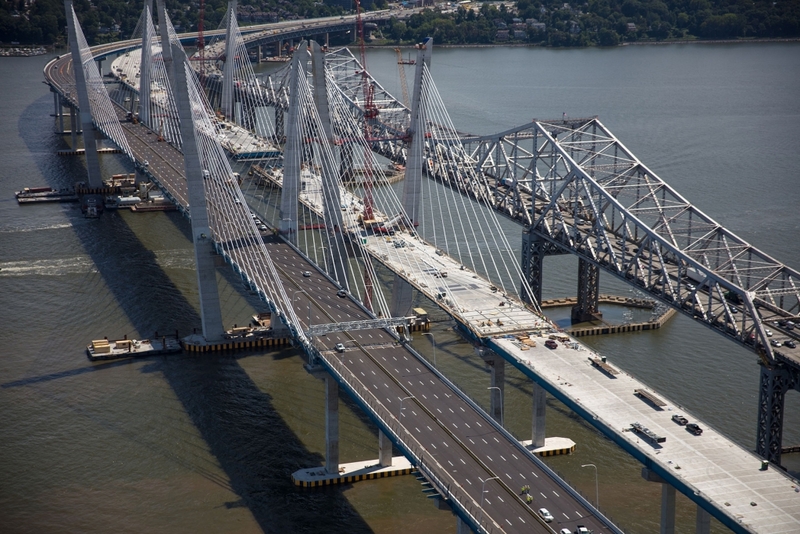 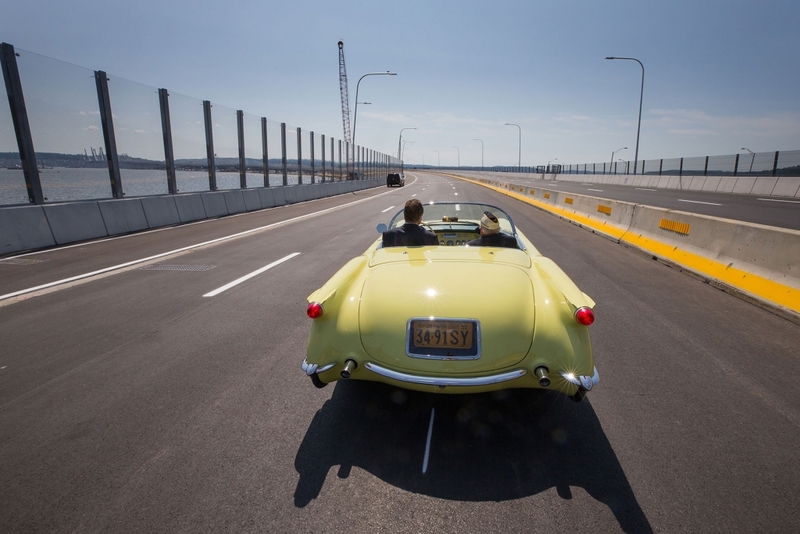 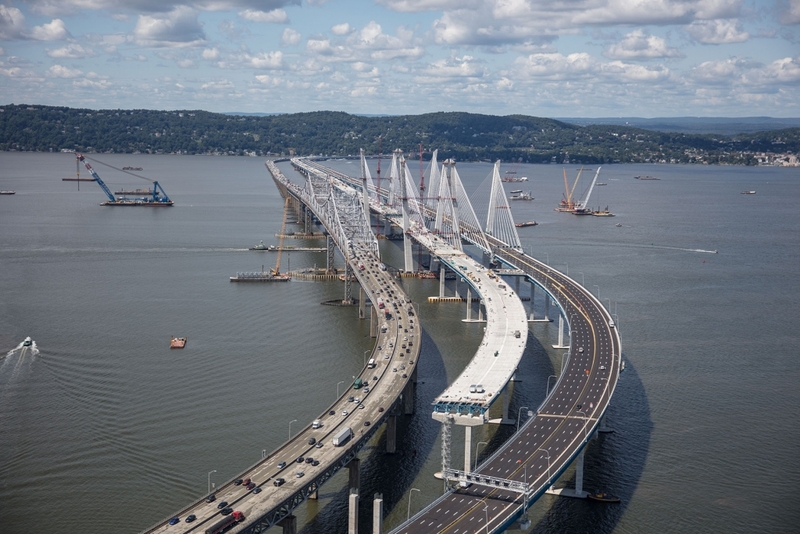 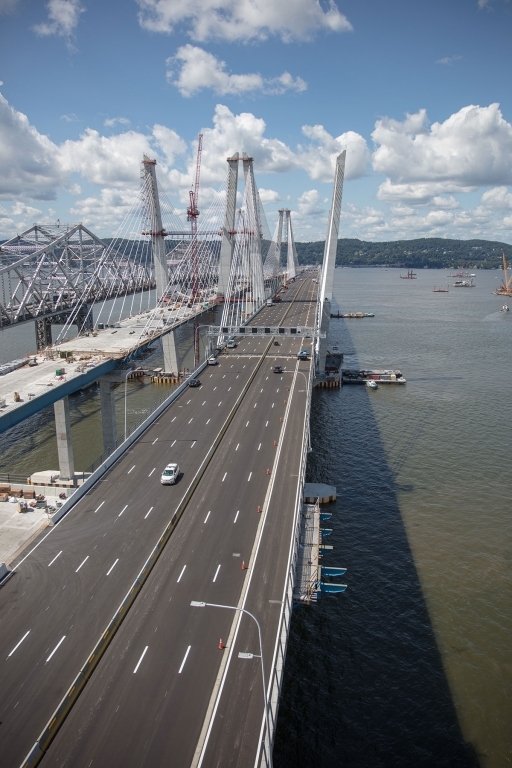 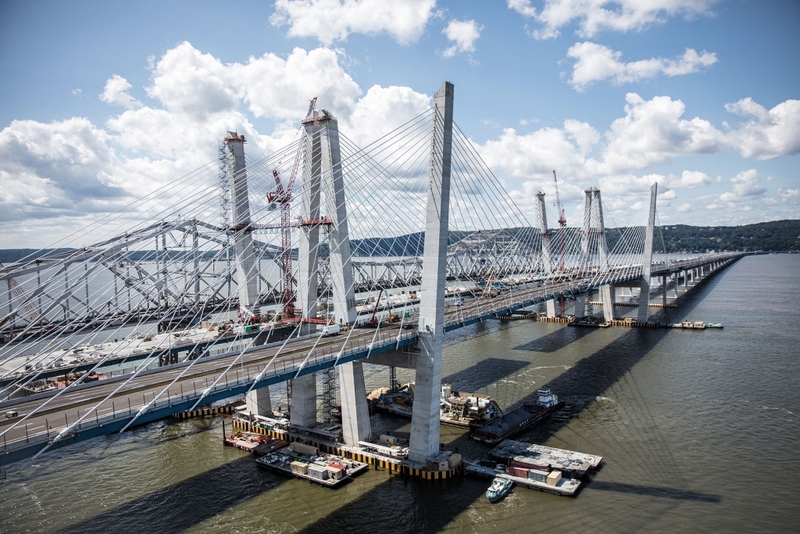 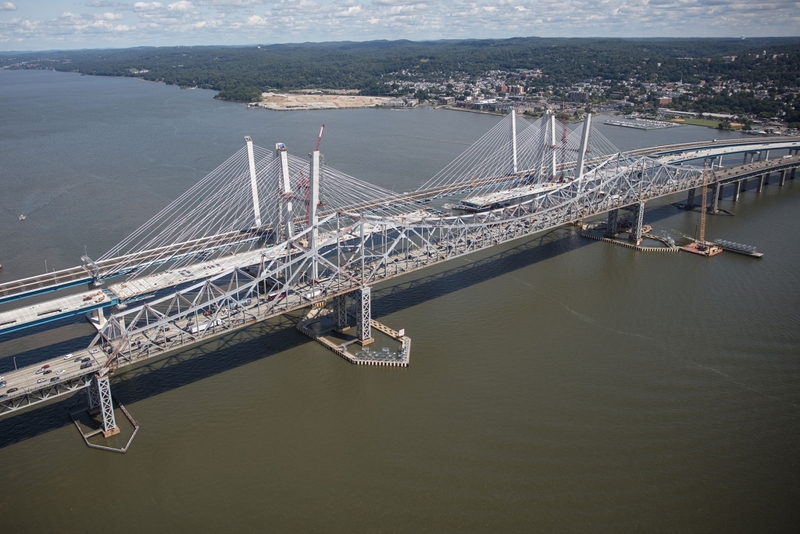 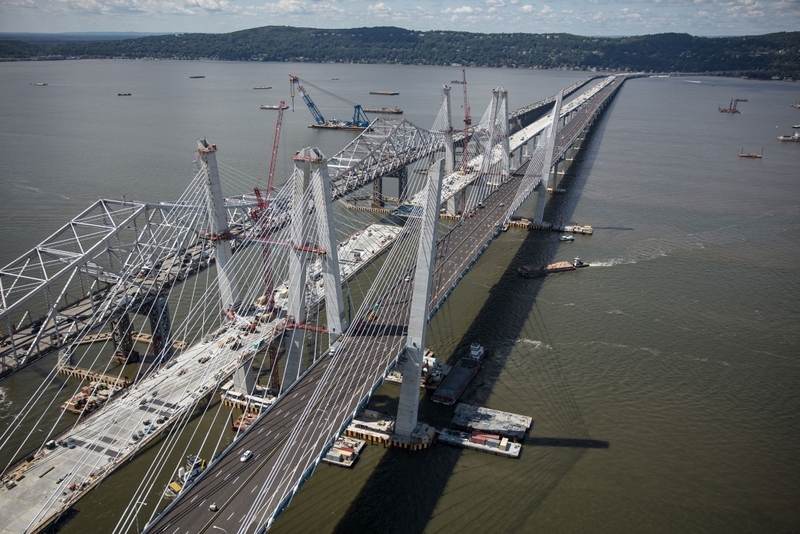 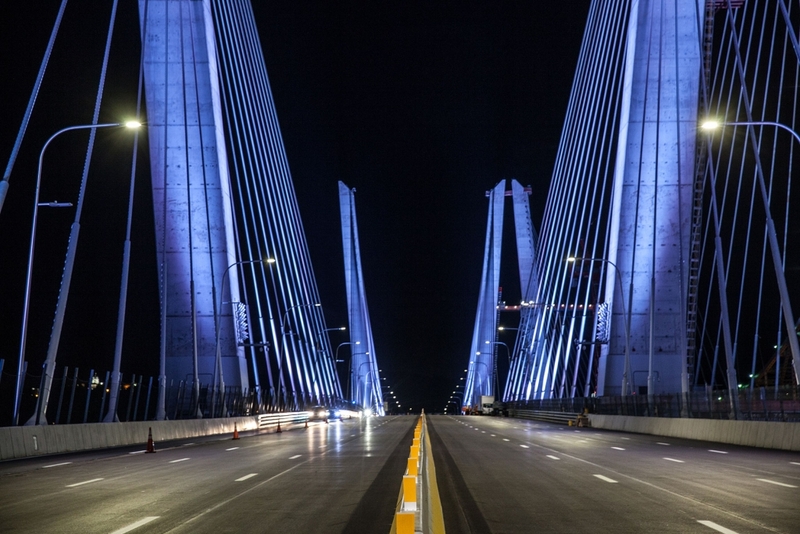 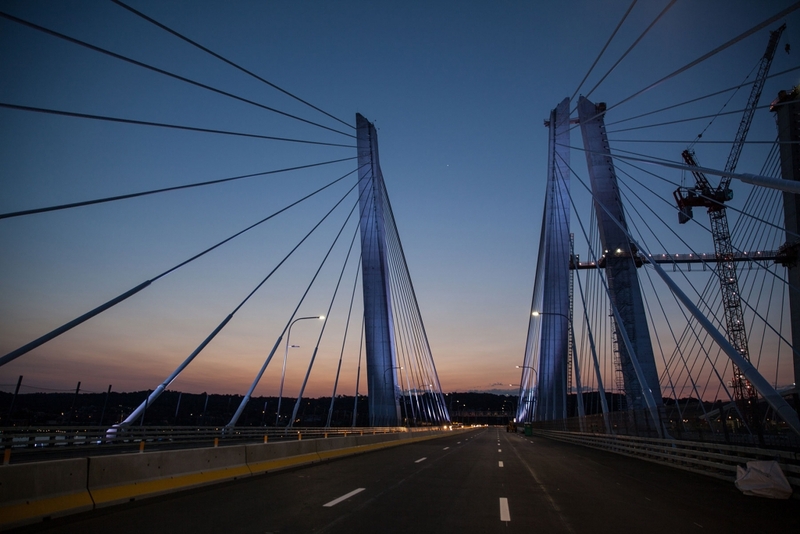 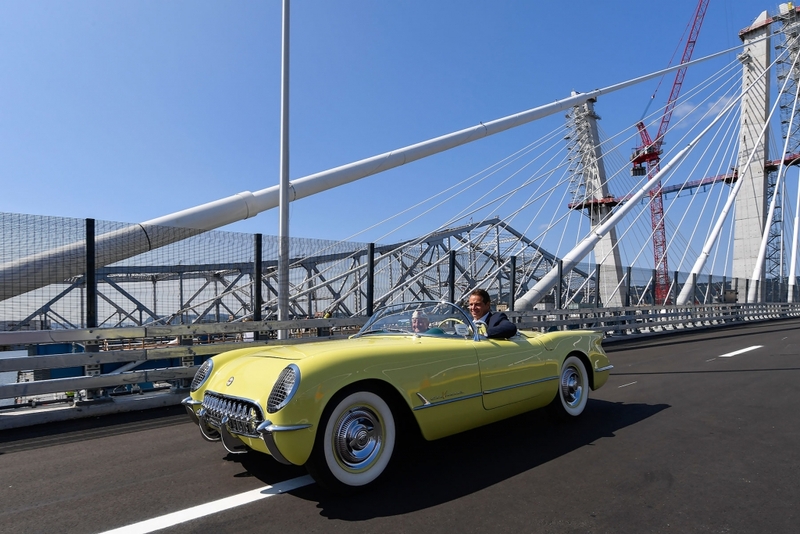 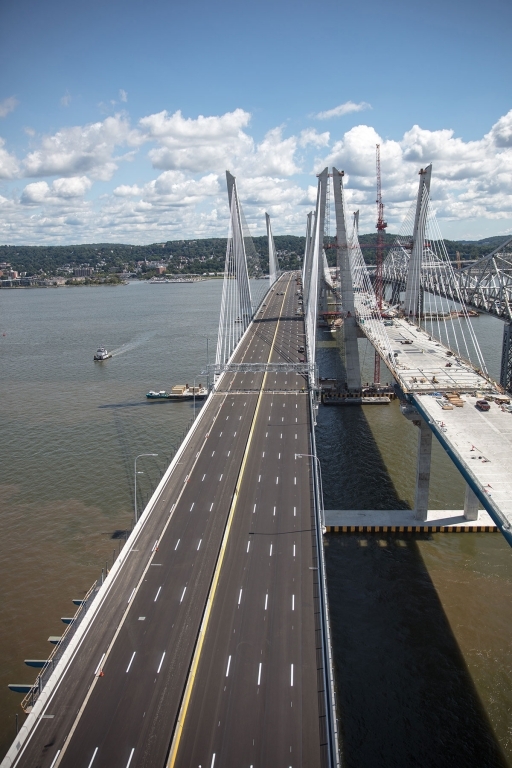 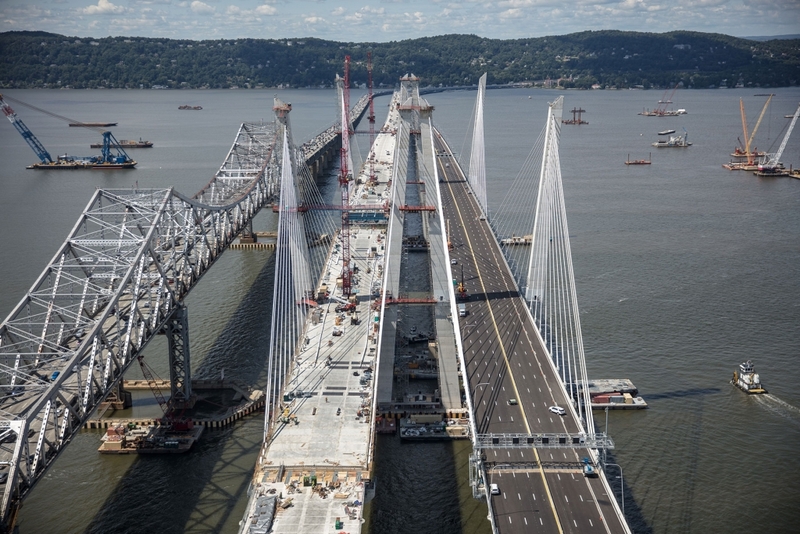 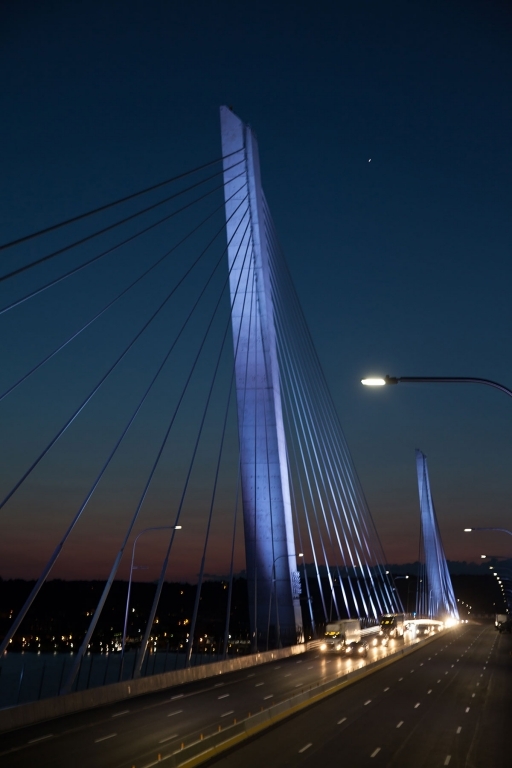 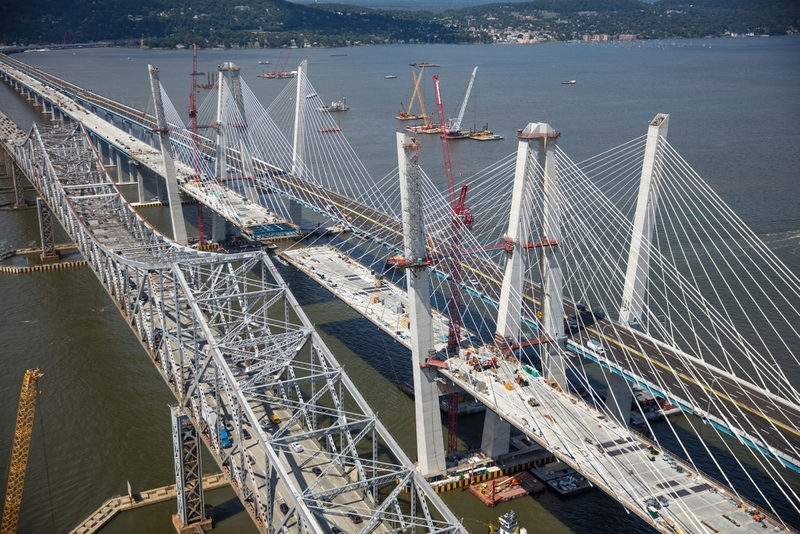 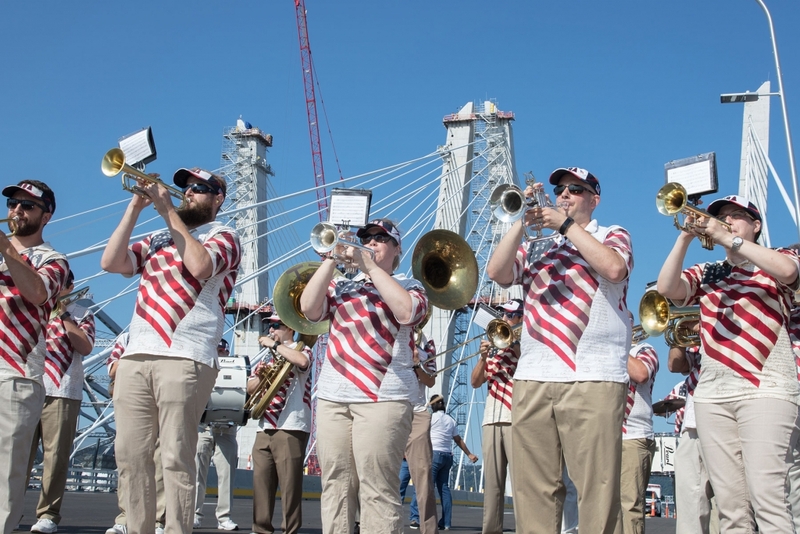 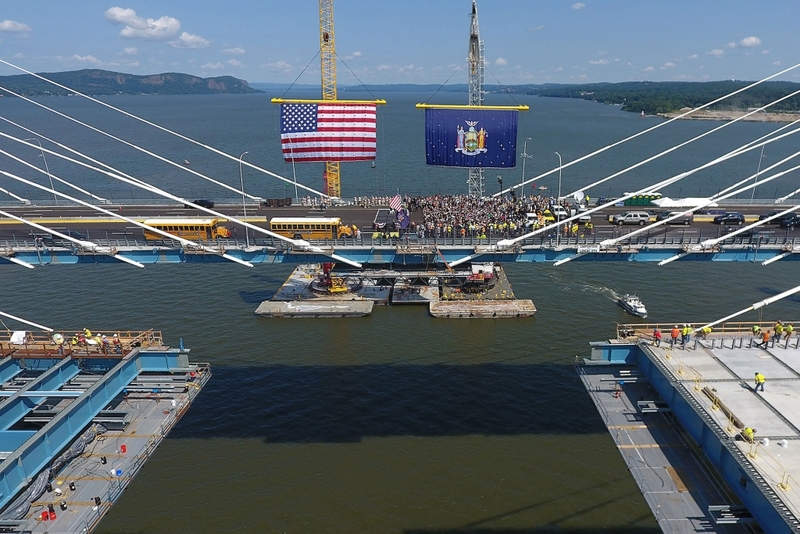 The latest additions to the project’s photo gallery highlight the grand opening of the westbound span of the Governor Mario M. Cuomo Bridge. 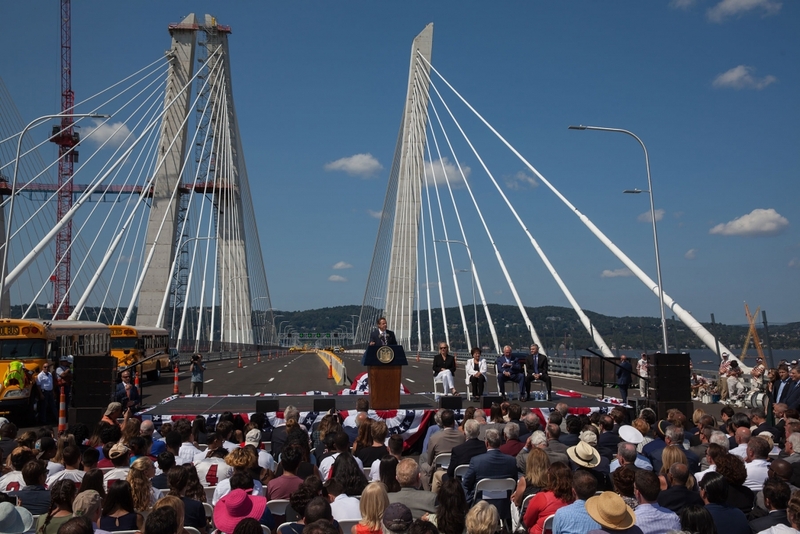 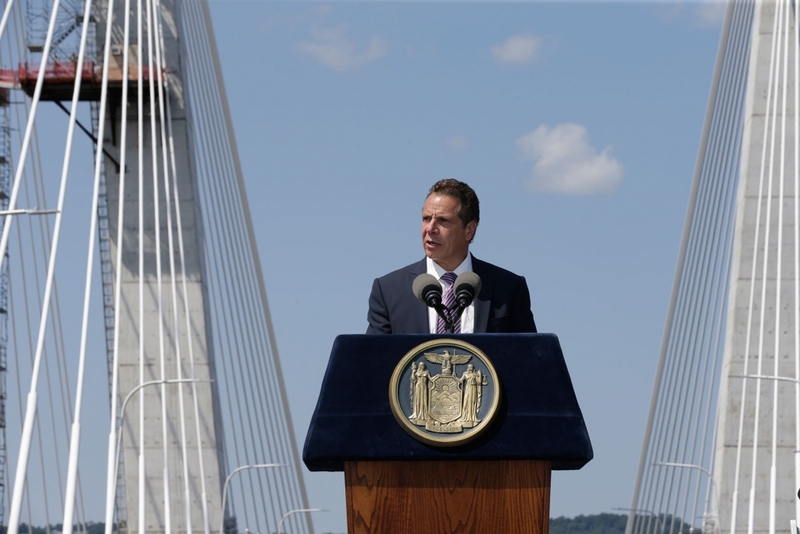 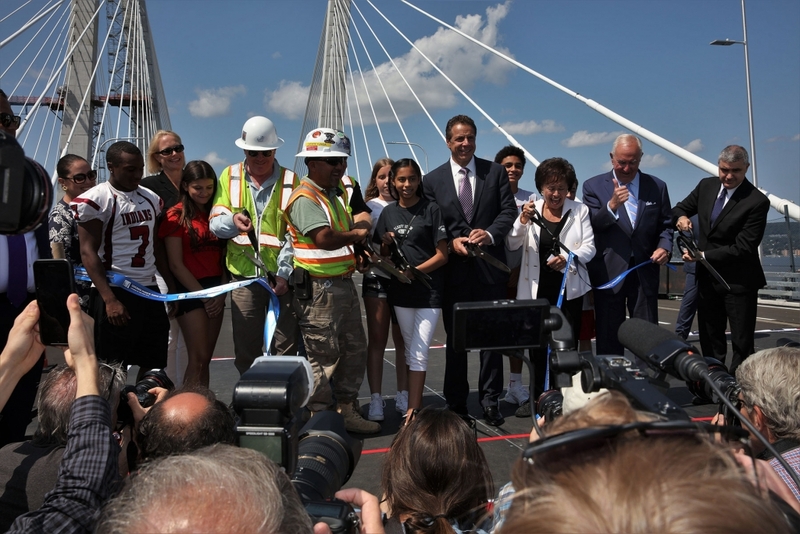 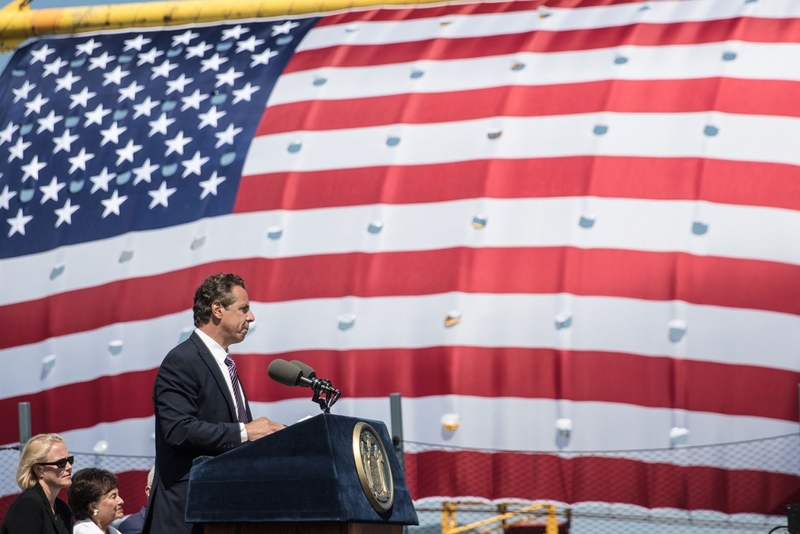 On Aug. 24, Governor Andrew M. Cuomo spoke to a crowd of more than 800 dignitaries and residents at the ribbon-cutting ceremony before leading an inaugural procession across the new cable-stayed crossing. 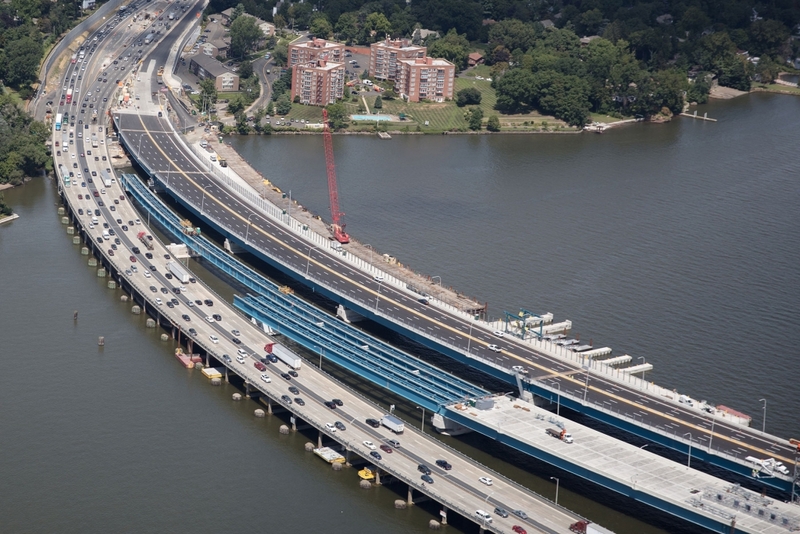 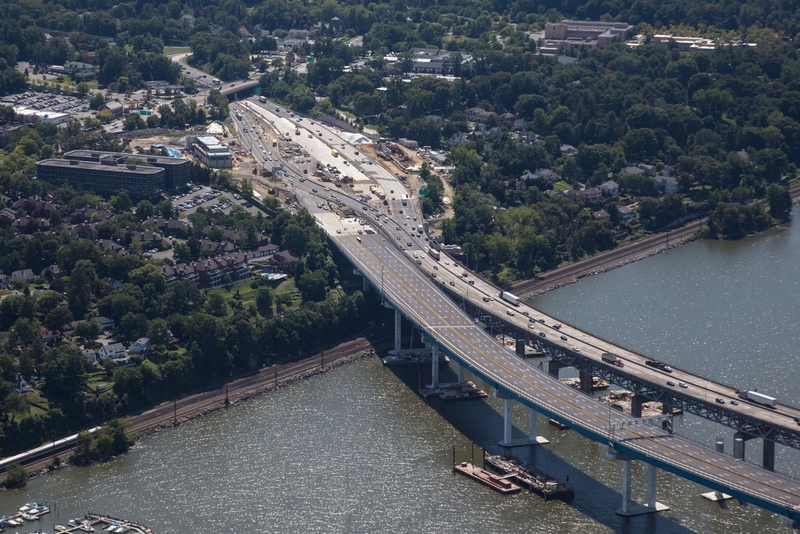 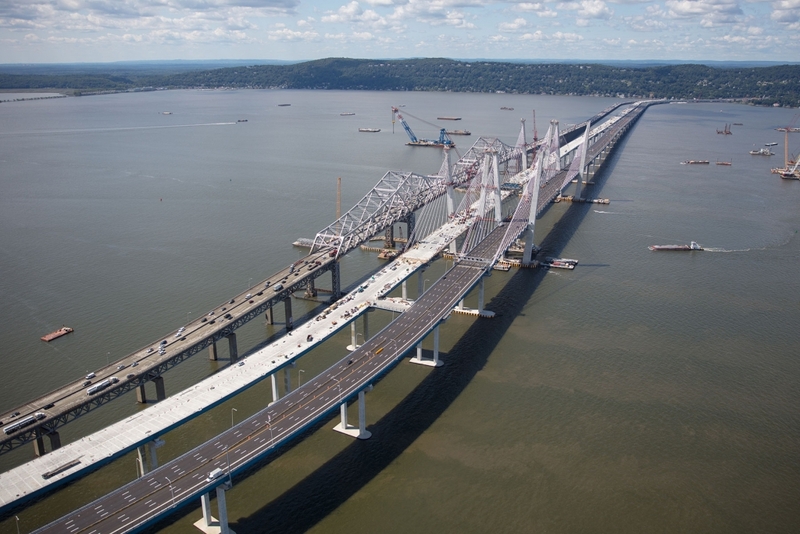 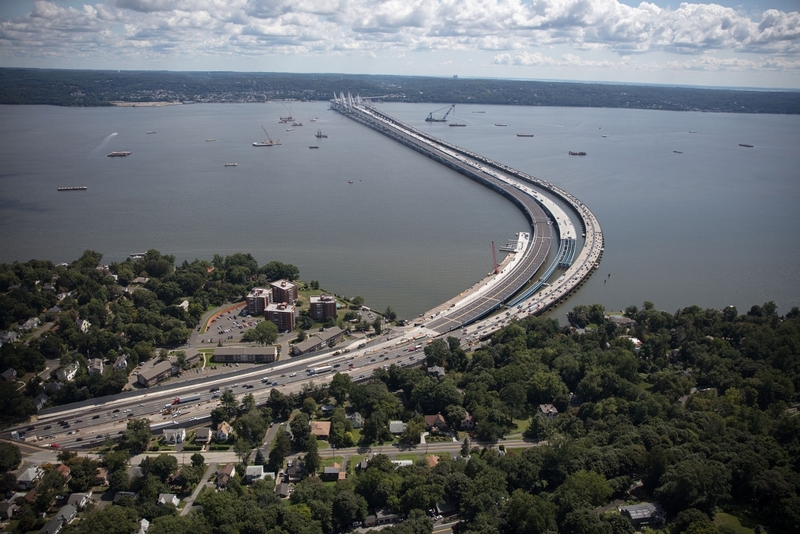 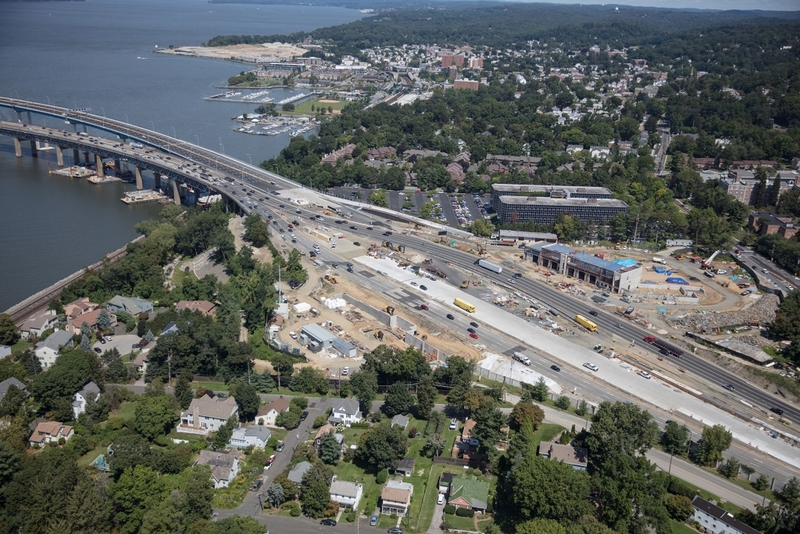 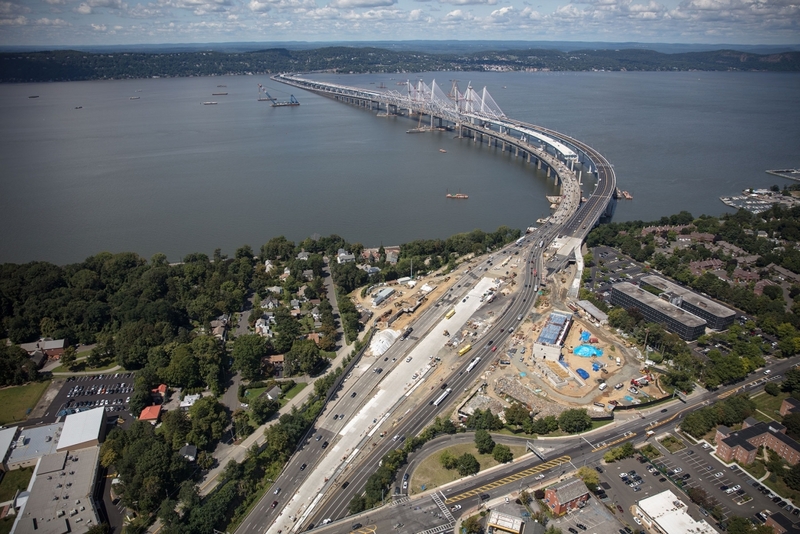 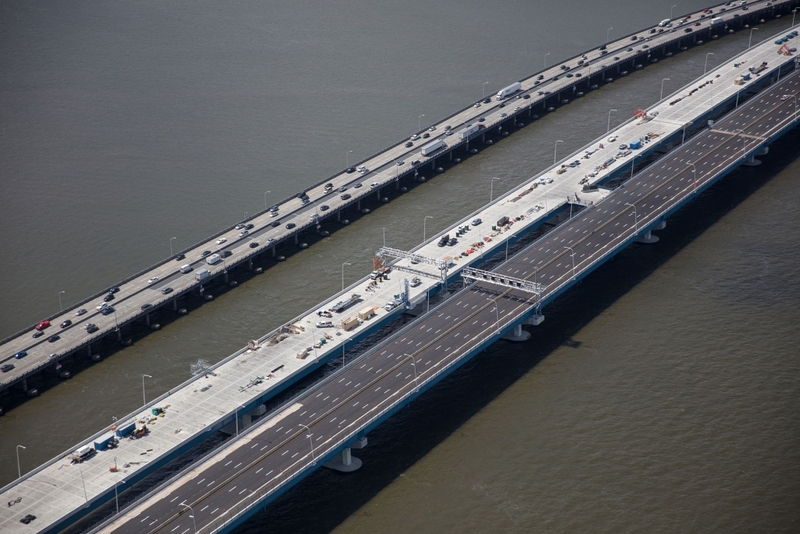 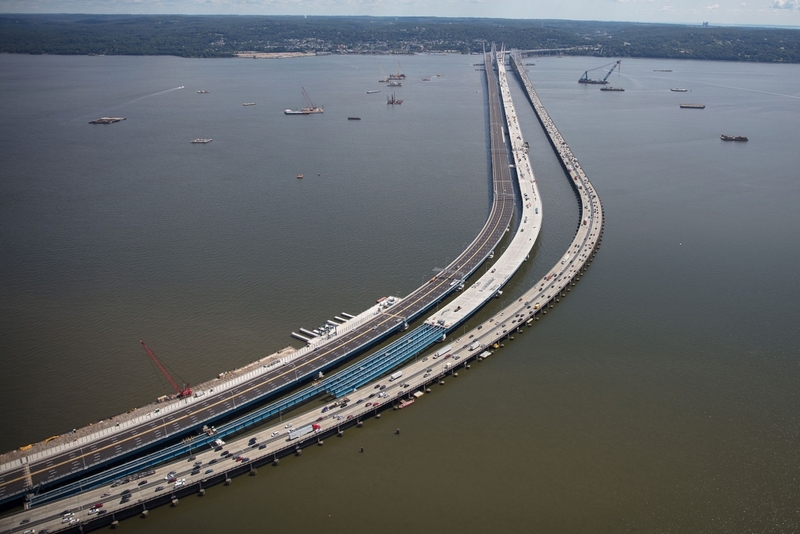 New aerial photography also captures the recently-completed westbound span, just a few hours before it opened to Rockland-bound traffic. 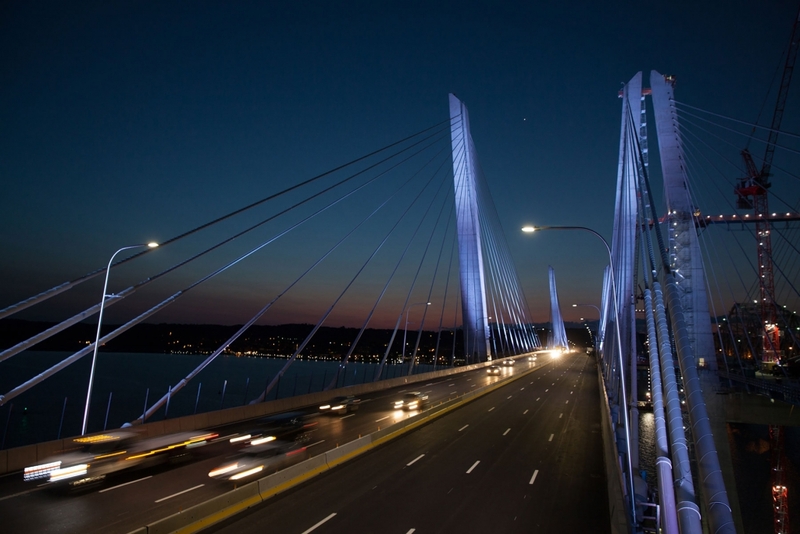 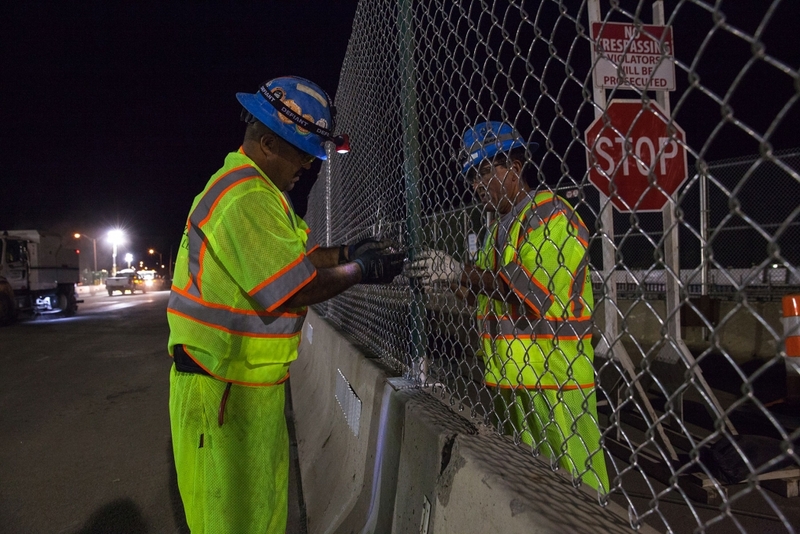 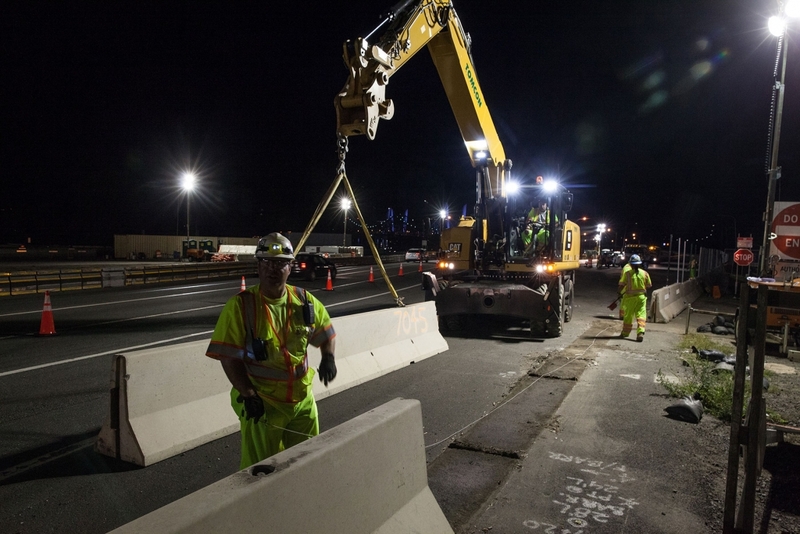 The first vehicles crossed the Governor Mario M. Cuomo Bridge just after 1:30 a.m. on Saturday, Aug. 26. 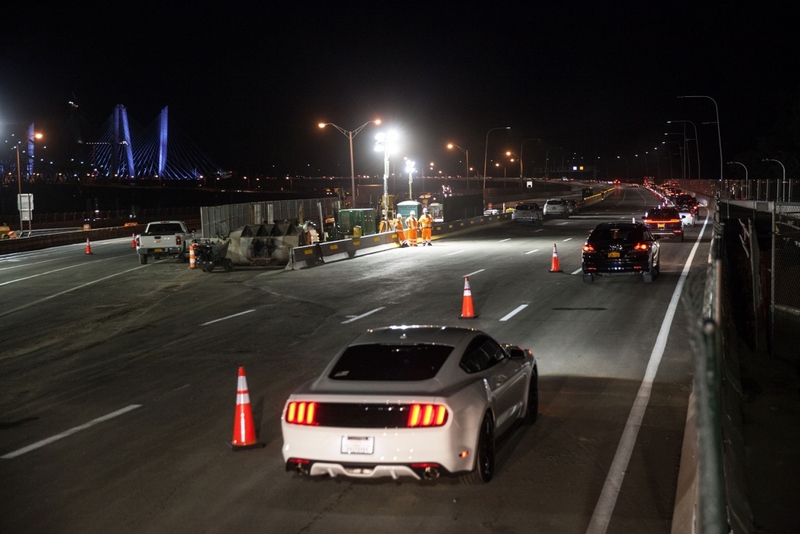 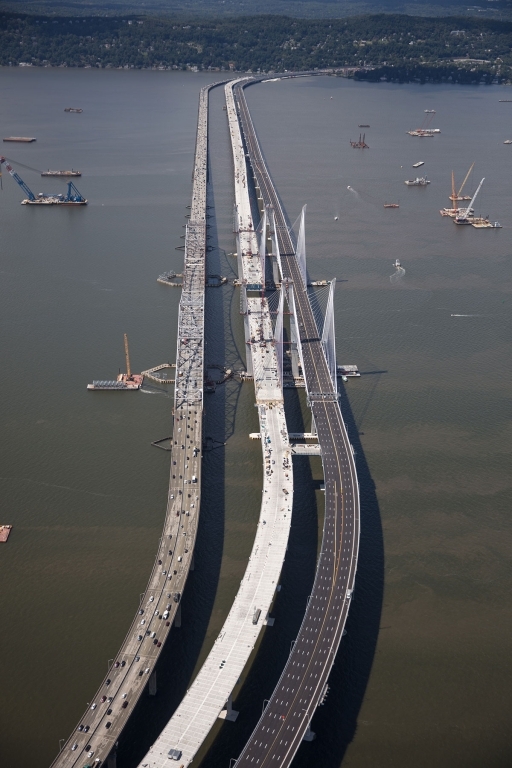 You can view more of the latest photos on the project gallery, or watch the first vehicles cross the new bridge.